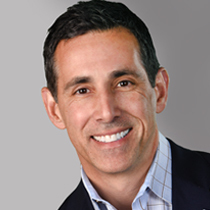 Mark D’Agostino founded ConnectedHR in 2014 and currently serves as its President. Under his leadership, ConnectedHR has become one of the fastest growing Human Resources consulting companies in NE Ohio. Before ConnectedHR, Mark began his entrepreneurial career in 2001 by starting Trifecta Business Products, Inc. As its CEO, it grew to two locations and over 40 employees. In 2011 he sold it to an independently owned Ohio corporation. During 2012, in the Akron/Canton area of NE Ohio, Mark co-founded a start-up of a staffing and recruitment company and served as its president for two years. Mark has worked hard to bolster the business community in NE Ohio. He served on the board of Northeast Ohio’s leading economic development organization, the Middle-Market Committee of the Greater Cleveland Partnership (2010-2012), as well as the Greater Akron Chamber Task Force (2012/2013). During 2010-2011 Mark had the privilege to serve as President of the Cleveland chapter of the Entrepreneurs’ Organization (EO). For 10 years running, Mark has been in a leadership position within EO by having served on its Cleveland board of directors and currently serving on EO’s Global board as a Regional Learning/Education Chair and as an EO Global committee member. As Mark states: “For me EO has been a transformational organization for not only peer-to-peer business experiences but also as a platform for meaningful personal growth”. Mark is a member of SHRM (Society For Human Resource Management) and of the HR Leadership Group of Northeast Ohio. Mark has lived his entire life in Northeast Ohio and is a proud graduate of Cleveland State University, where he volunteers as a CSU Business College mentor. Mark is married to Kathy and together they have 4 children.